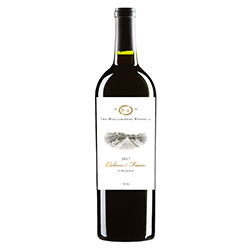 The fruit aspect of this wine offers a complexity of blueberry, dried apricots, strawberry and green apple that pairs well with the cinnamon and spice notes. Just behind the fruit are some wild flowers which help accentuate the floral aspects. Additionally, there is the old-world earth character of leather and suede. A juicy mouthfeel with a fruit forward sensation rounds out the wine nicely. The tannins and oak are well balanced while not overpowering the fruit and contribute to the overall complexity of the wine.